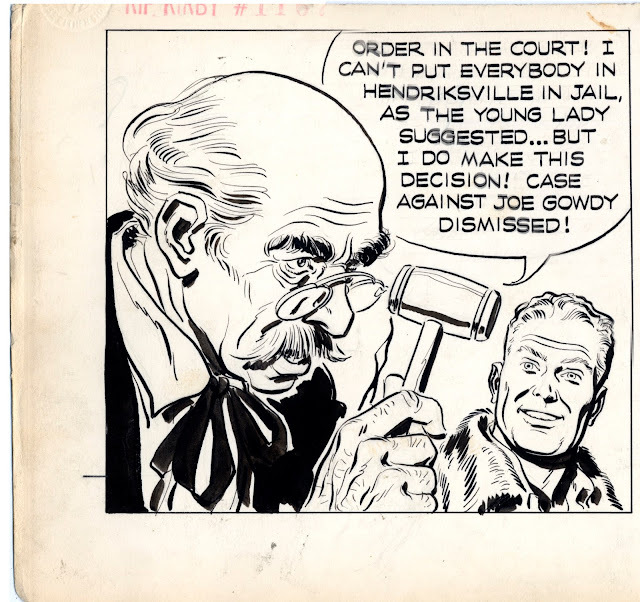 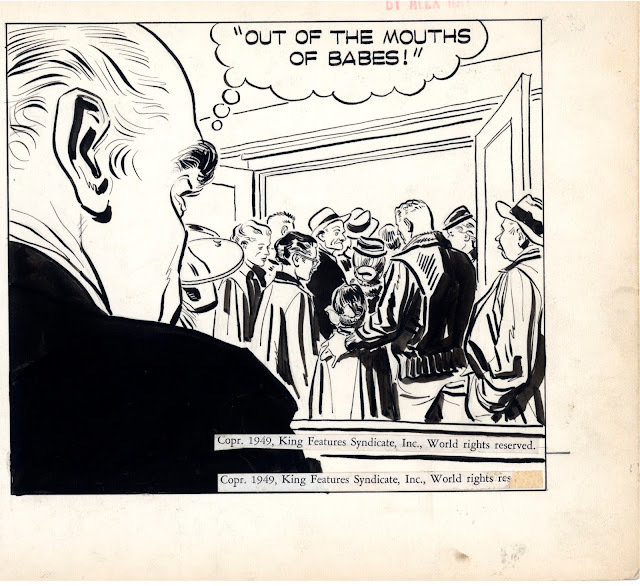 I'm posting one of the items in my impressive collection of original art: a Rip Kirby daily strip (11-29-1949) by Alex Raymond. When I purchased it at ComicCon about 10 years ago, I was struck by the looseness and freshness of the brush work- almost like Milton Caniff in his early Steve Canyon heyday. Turns out, I was correct in a way. 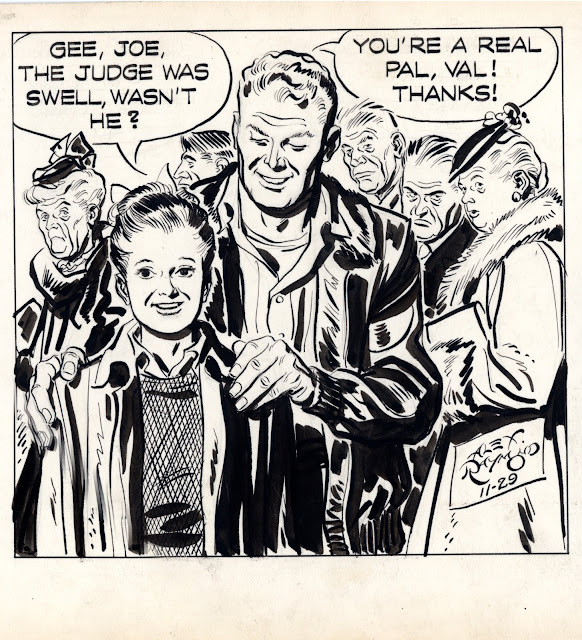 Dave Sim, in an issue of his post-Cerebus series "Glamourpuss", posits that Raymond was consciously emulating Caniff on the storyline this daily comes from, especially in his handling of the leather jacket.